With a list of potential recipients, the Turkish Cooperation and Development Agency (TIKA) authorized the release of financial aid for needy Palestinians. The money is supposed to support humanitarian projects to improve the livelihoods of Gaza's residents to purchase food and basic necessities. Instead, a lot of the money was diverted to buy weapons and train terrorists to kill Israelis. This is Hamas' financial modus operandi. Israeli authorities arrested TIKA's leader in Gaza last month for funneling money to Hamas' military wing, Israel's domestic security agency announced on Tuesday. 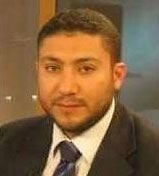 The Israelis say Hamas recruited TIKA's Gaza branch head Muhammad Murtaja in 2008. The following year, he enlisted in Hamas' military wing while maintaining his role as deputy director of Turkey's IHH Humanitarian Relief Foundation in Gaza. Several states, including Israel, designate IHH as a terrorist organization – a group that encourages and finances violence against the Jewish state. Murtaja allegedly helped Hamas finance construction of offensive tunnels, and obtain weapons and explosives. He was involved in terrorist training and even hid Hamas grenades and weapons in his home. "The investigation showed that Murtaja deceived TİKA by misusing the organization's resources and funds, which were intended for substantial humanitarian projects in the Gaza Strip, by diverting them to Hamas's military wing. 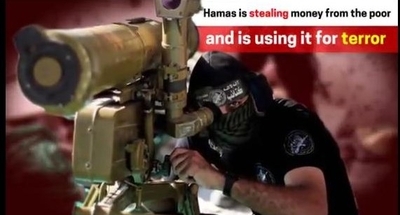 This fraud was carried out in collusion with the senior ranks of Hamas in Gaza, headed by Ismail Haniyeh," Israeli Government Press Office statement said, adding that Murtaja sought "information that would improve the accuracy of Hamas rockets being launched at Israel." Senior Hamas officials gave Murtaja the names of Hamas terrorists and their family members to be listed as poor Palestinians who required financial assistance. Murtaja would then give the names to his TIKA superiors, who would authorize the release of "benefits and stipends." The Hamas operative successfully diverted "millions of shekels" for terrorist activities during the 2014 Israel-Hamas war and beyond. In one example, members of Hamas' military wing received TIKA food packages intended for Gaza's civilians. "Hamas prospers at the expense of the residents of the Strip and uses donations meant for them to finance terror," said Major Gen. Yoav Mordechai, Israel's coordinator of Government Activities in the Territories. "How long will the world and the Gazan people ignore this?" Shin Bet also announced that Turkey's IHH Humanitarian Relief Foundation directly financed Hamas terrorism. Israeli authorities accused the coordinator of IHH's Gaza office, Mehmet Kaya, of providing "Hamas leaders Ismail Haniyeh and Raad Saad cash from Turkey that was earmarked for the Hamas military wing." Some of the IHH money helped buy weapons and build a training facility for Hamas naval commandos. These two separate episodes show how Hamas exploits charities worldwide to finance its terrorist infrastructure at the expense of needy civilians. The terrorist group repeatedly demonstrates that it prioritizes its fight against Israel over the well-being of its own citizens and societal development. Last year, Shin Bet revealed that Hamas diverted "tens of millions of dollars" from World Vision, a U.S.-based Christian charity, to rebuild its terrorist infrastructure. The terrorist group reportedly siphoned 60 percent of the charity's resources in Gaza to reconstruct Hamas' tunnel network and military installations, in addition to buying weapons intended to kill Israelis. This amount translated to roughly $7.2 million each year. The alleged scheme involved Hamas operatives, posing as World Vision employees, filing fake proposals for World Vision-financed projects in Gaza, before laundering the cash to Hamas and its military wing. For example, a Hamas operative launched an initiative to build greenhouses to hide terrorist tunnel sites, while a proposed project intended to help Gaza's fishermen ended up using the money to improve Hamas' naval capabilities. Since the end of the 2014 summer war in Gaza, Hamas continues to rebuild its elite forces – including its naval commando unit – dedicated to infiltrating into Israel to carry out terrorist attacks. Hamas terrorists also falsely listed their children as injured to collect money intended to help children in Gaza who were actually wounded. Tens of thousands of dollars from the charity's finances were also used to buy weapons in the Sinai during ousted Egyptian president Muhammad Morsi's reign. World Vision is still independently investigating to confirm whether Israel's allegations are credible. On Monday, Israel enabled the transfer of roughly $82 million dollars in cash to Gaza, primarily from Gulf States and the European Union. The money is meant to cover the salaries of about 50,000 Palestinian Authority employees in the Gaza Strip. Based on these latest developments, however, Hamas operatives could try to siphon some of the money to finance their terrorist efforts against Israel.